Leading the way: economic growth with social responsibility is at the heart of Macron’s grand plan for France and Europe. Emmanuel Macron continues to surf the wave that swept him to power in the French presidential election in 2017. John Egan reviews a week in which his engagements with the global elite and local workers bring together both ends of his plan – a new economic dawn for France. 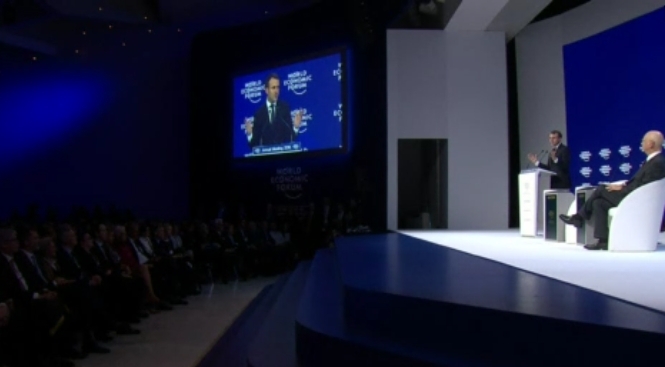 “France is back”, Emmanuel Macron yesterday announced in English to the World Economic Forum in Davos, Switzerland. It was a keynote speech packed with symbolism, preferring English to articulate his economic liberalism to the assembled ranks of leading capitalists, before switching to his native French to mix in the essential social democracy à l’Europe. Without social justice and a wider sharing of the benefits of economic growth, “Schumpeter will very quickly resemble Darwin”, he said, referring to the need to avoid winners-take-all outcomes. “Economic growth is not an end in itself … it stays a means”, and to cement the distinction he went on to implore enterprises that invest in developing countries to double their investment to educate the children of that country, so that all might benefit from stability and growth potential. This mix of economic growth and social responsibility is at the heart of Macron’s grand plan for France and for Europe, and he has embarked on his mission to unite the two forces with a suitcase packed with the powerful instruments his presidential kudos has bestowed. On Monday Macron, together with Premier Ministre Édouard Philippe and 16 senior members of the French Government, welcomed 140 multinational business leaders to the splendour of the Palace of Versailles. The summit was entitled “Choose France”. A convenient stop-over en route to Davos for many, the event brought together Sundar Pichai (Google), Sheryl Sandberg (Facebook), Vasant Narasimhan (Novartis), Lloyd Blankfein (Goldman Sachs), Jamie Dimon (JP Morgan) and James Quincey (Coca-Cola) among the collected dignitaries. They were invited to bring their ideas for what France could do for their companies. It was not a showcase – the deliberations took place behind closed doors. It was a speed dating event choreographed for the invitees to have individual discussions with Government ministers. In parallel were symposia on subjects that included artificial intelligence and the 2024 Paris Olympic Games – considered by the government to be special assets to sell France as “the place to be”. Fine dining surrounded by the palatial extravagances of Louis XIV amplified the message. But Macron must also heed another message, one that harks back to events that happened two King Louis’ later. He is not to lose his head. Already Macron has been tagged by his political adversaries on left and right as President of the rich. Macron needs to convince those that voted for him that what he is doing will lead to investment, enterprise and jobs. Though the mood music is encouraging there is little solid evidence that the first rays of sunlight are heralding a glorious new dawn for the French economy. The previous administration fought hard to reduce the high unit labour costs that locked down France’s international competitiveness. However, the continuous decline of France’s share of export markets has continued unabated, even in comparison with its European partners. As a consequence, its trade deficit for 2017 was about €63 billion – about double that of the UK. New investment is urgently needed. French products are generally perceived to be of average quality “not sufficiently innovative and always too expensive”, according to a survey of 480 foreign business customers by Coe-Rexecode, cited in the French newspaper Le Monde. This is the reality that Macron’s new investment strategy is designed to redress. The first tranche of Presidential law-making has been pushed through by ordonnance – limiting parliamentary debate with an executive power that would make Donald Trump turn green with envy. Removal of a tax on capital holdings, except for property, and a freeing up of the labour market with a dilution of union influence on industrial relations at a national level are high on the list. The aim over the five-year presidency is also to reduce companies’ corporation tax from 33.3 per cent to 25 per cent. These gestures will not be missed – neither by the grand executives assembled in Versailles, nor the workers in the factories and fields who live under the ever-present threat that globalisation presents to their livelihoods. Macron currently has oxygen from doing what he said he was going to do in his presidential campaign. Also, there is a general acknowledgement that France needs to change – in a way that adheres to the three principles of its republic: Liberty, Equality, Fraternity. Hence, interspersed with his appearances alongside global elites, Macron is careful to mix in events to show that his plan for France is working. This week he unveiled projects and investments of about €3bn euros, according to Le Monde. Just hours before his Versailles appearance he was present at a Toyota plant in Onnaing, in the industrial north of France, to announce an investment of €400 million and 700 jobs. After Davos, today he heads straight to rural France. He will spend two days in Puy-de-Dôme, land of volcanos, to counter a charge that he has shown contempt for the villages of France, levelled by Laurent Wauquiez, the new leader of the main right-wing opposition party Les Républicains. 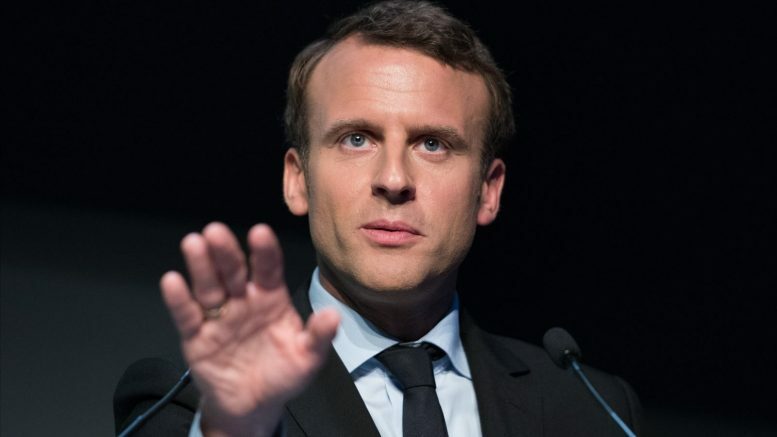 The distance between Davos and Puy-de-Dôme is small compared to the distance Macron may have to travel to help reconcile opposing economic and social forces and avoid an inevitable rise of protectionism and populism that, he warned his Davos audience, would be the consequence of their failure to do so. The end of the beginning of the revolution? Dear Mr Juncker, I have a cunning plan.